A few weeks ago, I noticed a most wonderful site as I was entering my front door: crocuses; yellow and lavender crocuses. They immediately said promise. I loved this gentle reminder of brighter things to come. We had been having a long span of cold, icy and somewhat snowy weather, and life was being a bit testy; so, I was more than delighted to see these friends of mine. This visit from old friends reminded me of the promise of spring and the happiness associated with new beginnings, growth and renewal. I love when feel I related to and find signs in nature (my most favorite book). No sooner than a couple of days after they showed their cheery faces, something very unusual happened. We had a snowfall amount very unusual for this area; nearly 10 inches. My children and I were very excited. We have been craving snow deep enough for sledding and in an amount large enough for a giant snowman. After a day of snowy fun, the crocuses came back to mind. I was worried about them. I feared the large amount of snow had been too much for the crocuses to handle. Was tomorrow not going to be as bright as the crocuses were? I soon realized that what I saw the flowers symbolizing was true; however, I was in needing of a tune up. 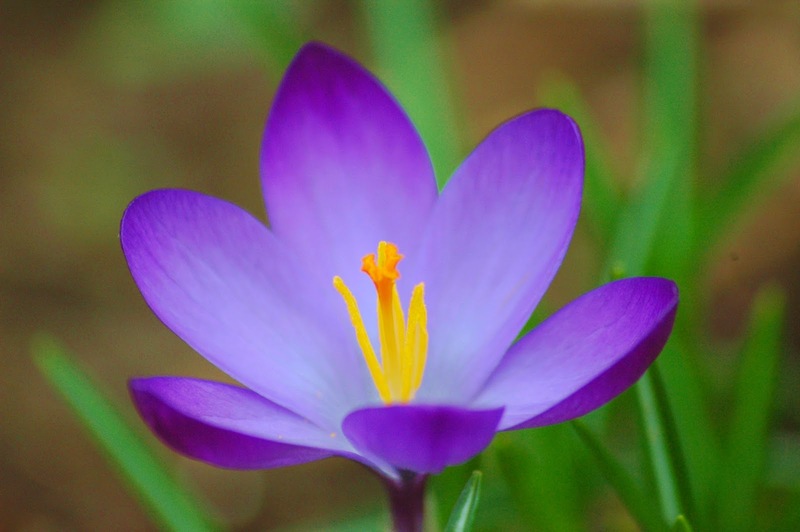 Duh, crocuses are built to withstand snow. Once the snow melted, they came back just as, if not more beautiful than ever. They withstood the storm and are still going strong. My lesson learned was more than I originally thought: the promise of nature always rings true, but we sometimes have to weather a storm or two. This brings me to my springtime charming cuffs. They are made using a pattern I have posted on line before; but, like the crocuses took cover for a little while and are ready for showing again. It's a fun quick pattern and the design is another perfect for embellishing. 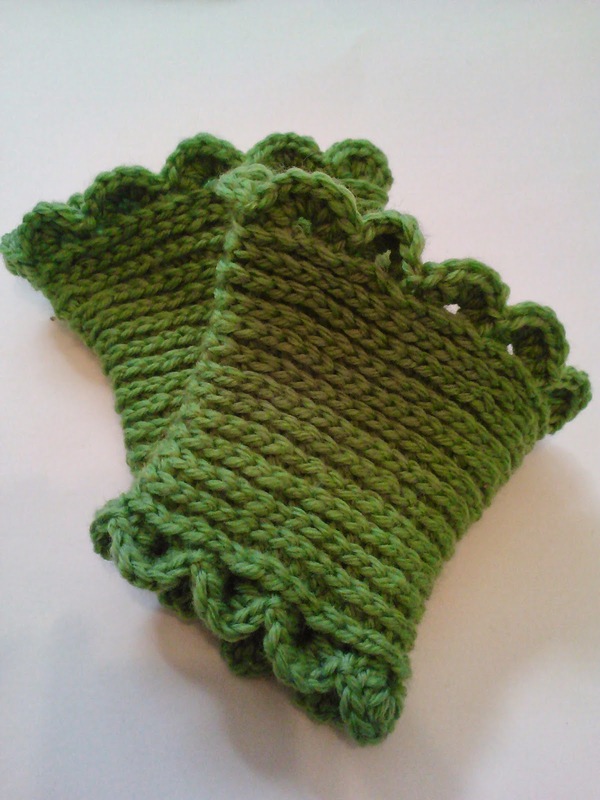 The cuffs keep you warm when the temps are cool but not too warm if it warms up. cherry blossoms, dogwood and pansies, oh my! So what else is in my forecast? Well I plan to work on a journal I started making. I thought this would be a good time to work on finishing it, as I can fill it with all of the new things I discover this new weather cycle. I know I'll see, learn and reacquaint myself with much. Nature always teaches me something. I can always count on it to learn something about myself. It's promise never fails me.